Similar size and weight than the PL 19-90mm, its longer focal length makes it ideal for documentary, nature, wildlife, and commercial shootings. The PL 85-300 offers a focal length of 85-218mm at T2.9 and the 300mm at T4.0, with 200-degree focus rotation. The Fujinon 85-300 T 2.9-4 is a medium to high reach zoom that provides with a cinematographic image without sacrificing its portability and versatility, highly valued characteristics when dealing with ENG and documentary productions. Built with PL mount, it is designed to cover Super35 sensors (31,5mm diagonal) at high resolutions and comes with a detachable servo motor unit that allows for iris, zoom and focus ring remote control. The connections featured in the PL mount power the motor drive and provide with LDS and /i technology compatibility. Hence, metadata can be transmitted between lens and compatible cameras through the mount. If the lens gets mounted on an adaptor (i.e. PL to EF or PL to e-mount), this electronics will not be able to supply the servo -however, it is possible to power it through a DTap cable in order to solve this issue, but only the zoom ring will be powered. This Fujinon offers a focal zoom of 3.5x, from 85mm at the widest end (18º21') to 300mm at the longest end (with a narrow angle of 5º14´). It features a constant aperture of T2.9 up to 218mm, then the aperture decreases to T4 from that point up to the 300mm end. The zoom ring rotates in a 120º angle and the focus ring turns up to 200º mm. The minimal focusing distance of the lens is 1.2m, although it includes a macro mode that allows for a slightly shorter minimum focusing distance. It is a lens with a great resistance to flares and ghosting, although some of these can appear when switching to macro mode. It offers a pleasant color rendition with natural skintones and colors, low levels of saturation and with its best performance when dealing with cold lights. 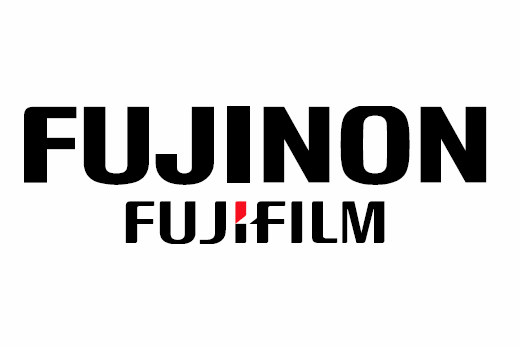 The Fujinon 85-300 Cabrio T2.9 has a frontal diameter of 114mm and is compatible thus with 112.5mm screw-in filters (ND or clear, M1111). It weights over 3Kg including the servo unit and hence it is a perfect solution for documentaries or feature films in which versatility and mobility are needed (it is quite used when dealing with stabilizers). 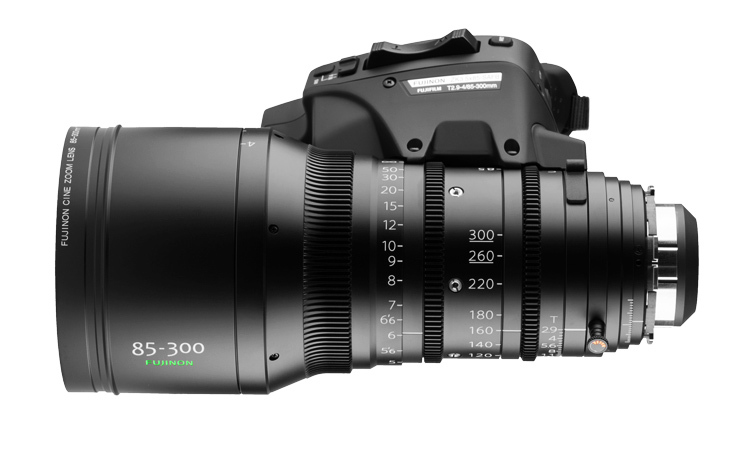 All in all, it is a great compact zoom with a cinematographic look that will not dissappoint no matter the production.